When it comes to hosting and managing a website, one of the main criterion that comes to every site owner’s mind is the level of security the hosting provider offers. With an increased number of website users, there is also an increased number of security threats that most sites experience. To deal with this, site owners are gradually migrating to more secure and reliable hosting solutions like VPS hosting. Security generally is not one but a combination of multiple factors that contribute to a safe and sound hosting environment. VPS web hosting involves a main server which is divided into separate smaller servers, each isolated from each other virtually. Each such server is then dedicated to a user with its individual set of resources. This particular private server remains unaffected by the users and their activities on the other smaller servers. Although on a broader spectrum, each of these servers shares the same CPU, RAM, bandwidth, or storage, the operations of each remain exclusive. The reasons why this hosting solution remains much more secure than the traditional hosting options are answered within the definition itself. The software that runs all Virtual Private Servers on the main hardware server is a hypervisor. It uses the mechanism of virtualization and is responsible for managing every individual VPS that is running on the system. The hypervisor software keeps each of the virtual servers separate from each other, controls how each is functioning, and so on. The hypervisors have very tight controls and use a wall of multiple network level security features like firewalls. This ensures that your server and its resources are safe from unwarranted access since hackers are unable to get through the hypervisor itself. The storage architecture that is used in a VPS Hosting environment is also well secured. The storage servers are protected in the same manner using hypervisors. One of the biggest advantages of VPS Hosting is that it allows your system admin to complete root access to the server. Although the overall operations are managed by your hosting provider, this access gives you the ability to run scripts, configure the system the way you want, and customize software, unlike in a traditional hosting environment. With virtual server operating in containers, they become less exposed to threats like malicious codes, abuse or load fluctuations and similar other that affect other packages on the same server. This is one of the strongest reasons why VPS Hosting makes for a more secure solution than its traditional counterparts. 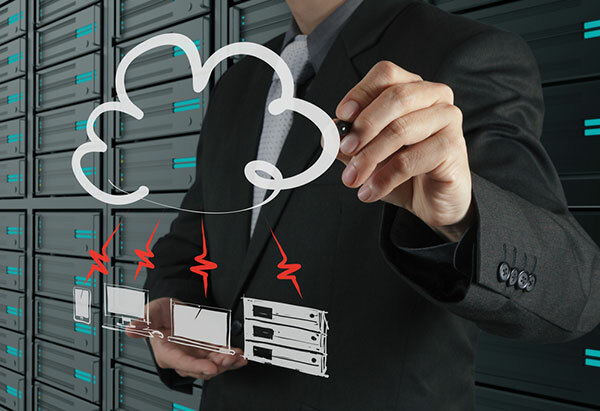 As opposed to traditional hosting, VPS Hosting gives you better control over the server that is dedicated to you. This means you can create access rules and set your own security guidelines within your own space with stringent and reliable solutions as per your need. When configured and deployed correctly, VPS hosting can take your site security, administration, and overall maintenance to the next level. However, so you make the right decision, it is important to seek and find a reliable service provider who offers you their best VPS Hosting Plans that fit with your security needs.